The team at Renaissance Roofing has been committed to serving the Dearborn Heights area and surrounding counties with quality roof maintenance services since 1996. With exceptional customer service as our goal, our team will help you make your selections and answer any questions to make the process smooth and simple. When you hire Renaissance Roofing, Inc., you will receive quality materials, a high standard of workmanship, exceptional skill, and a licensed and insured contractor with a sense of community and personal responsibility. We are sure that this is what our customers want and expect! At Renaissance Roofing, Inc. we highly recommend installing a complete roofing system. 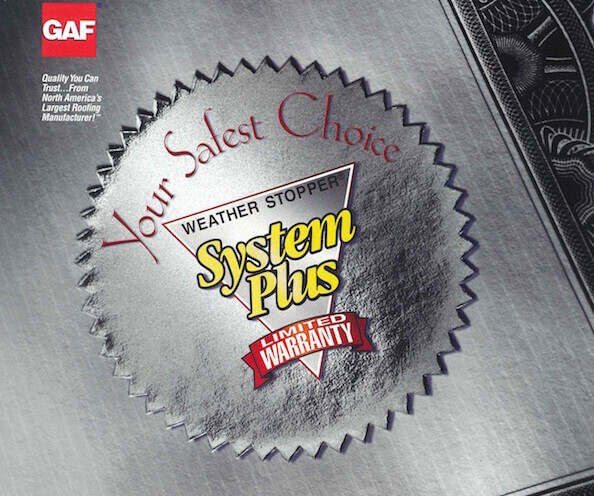 A complete system provides extended warranty options with materials that have been tested together by the manufacturer. A roof replacement is an important job, and should only be entrusted to an experienced roofing contractor. With over 20 years in the industry, our team has the knowledge and skills necessary to install a new roof on your home effortlessly. We take every precaution until the end of the project to protect your home. After we install your new roof system, we return the house to its original state. An extended warranty is included on all new roof systems we install with the exception of our basic package. Things like roof leaks can lead to serious and expensive damages if left ignored. Our company specializes in roof leak repair, storm damage, and much more. Our quick response time can help you avoid further damage to your roof. You can't always know for sure if roof repair or replacement is needed, but ignoring the warning signs could cost you later. If you're not an expert, it might be hard to tell what the source of the problem is, but there are some warning signs that will indicate whether it's time for you to give us a call. When you do, we'll be sure to give you a fair quote for what's needed. Don't wait when it comes to roof maintenance. Contact our dedicated team to provide you with the most honest and fair estimate for your specific needs.